For this year’s Super Bowl at US Bank Stadium in Minneapolis, the game’s primary audio supplier, ATK Audiotek, partnered with Orlando-based Professional Wireless Systems (PWS) to handle the wireless aspects of on-field audio. 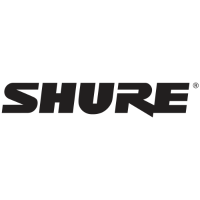 PWS handled system design and management for all wireless systems deployed on the field, selecting Shure wireless microphones and in-ear monitors as their primary RF systems. “When we specify wireless, it’s all about results. The Super Bowl is a globally broadcast live feed under some of the most crowded RF spectrum conditions you can imagine,” says PWS General Manager Jim Van Winkle. Using a mix of the new Axient Digital and Axient analog systems as well as Shure PSM 1000 in-ear monitors, PWS managed on-field wireless needs from the pregame Walter Payton NFL Man of the Year Award ceremony through the presentation of the Lombardi Trophy to the Philadelphia Eagles plus the referee’s microphone and all musical acts, including the halftime show. PWS designed the RF system and provided Axient analog, the antenna system, and the RF over-fiber system. Axient Digital and PSM 1000 were supplied by ATK and frequency coordination was handled by an NFL team led by gameday frequency coordinator Karl Voss. For the second straight year, referee micing was handled by Shure Axient with frequency diversity. The system features two lavalier mics feeding separate AXT100 bodypacks tuned to separate frequencies. A custom-built mute switch by ATK Audiotek enables the ref to control when he’s heard. Two receivers provide an additional layer of protection, with one using house power and the other using a UPS battery system. Most importantly, Axient’s ShowLink backchannel provides remote monitoring and control of all transmitter parameters. “We used Axient for its great RF characteristics and ShowLink, which can actively alert us to any interference and allows us to change frequencies remotely. This year, we didn’t have a single frequency change, and the referee system once again performed perfectly all night,” says PWS Lead RF Technician Gary Trenda. “Quadversity makes a real difference in difficult conditions like this, and we’ve been using it ever since Axient Digital became available. Being able to send four antenna signals instead of just two gives you extra confidence that you’re sending the best possible signal into the system. We covered the entire bowl of the stadium with four antennas. We find that Quadversity gives us a better chance to get full link quality with a larger coverage area over longer distances,” Trenda says. To enable Axient’s ShowLink capabilities, PWS deployed two AD610 Access Points, a new model in the Axient Digital ADX system that is now shipping. “I love the fact that the AD610 works with both Axient Digital and analog systems,” says Van Winkle. All musical acts throughout the broadcast used the Shure PSM 1000 in-ear monitor system. For the halftime show, 12 IEM mixes were shared among almost 50 performers. “We had to cover the whole field and up into the stands, so it was a real challenge,” says Trenda. To tie the entire system together, PWS networked all PSM 1000, Axient analog and Axient Digital systems together and monitored everything through multiple deployments of Shure’s Wireless Workbench (WWB) software. “We use Wireless Workbench as the primary point of management for all those systems,” says Trenda. Van Winkle reports that, from a wireless perspective, all the on-field audio at the Super Bowl was clean and clear. “Overall, we couldn’t be happier,” Van Winkle says.